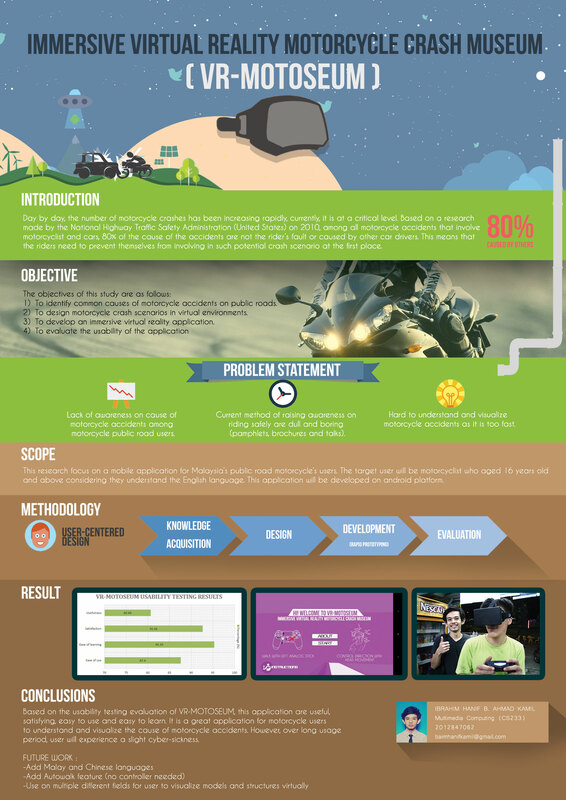 This is a virtual reality project that I did for my final year project. 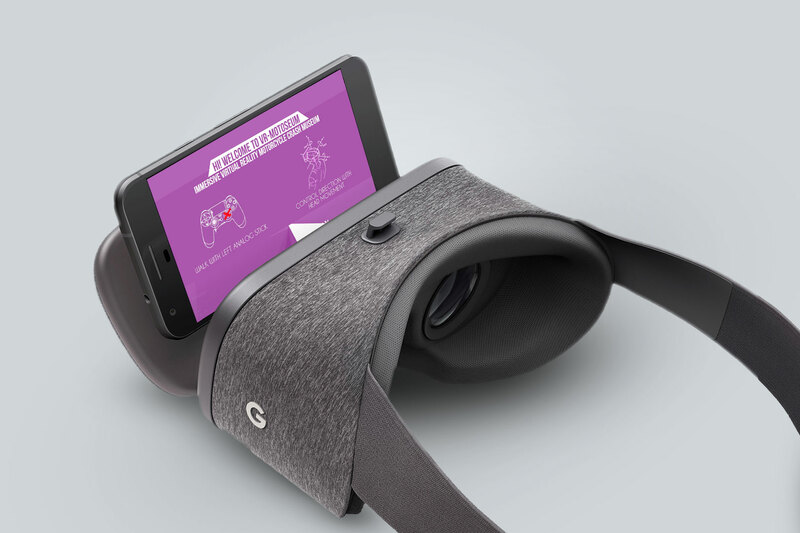 It runs on android device and can be controlled with a PS4 controller. 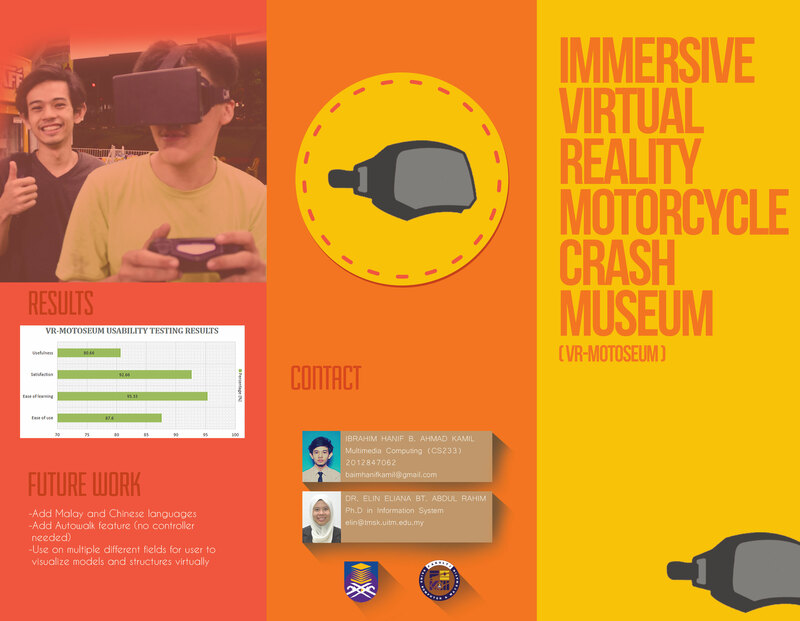 The research of Virtual Reality Motorcycle Museum are done using User Centred Design approach. 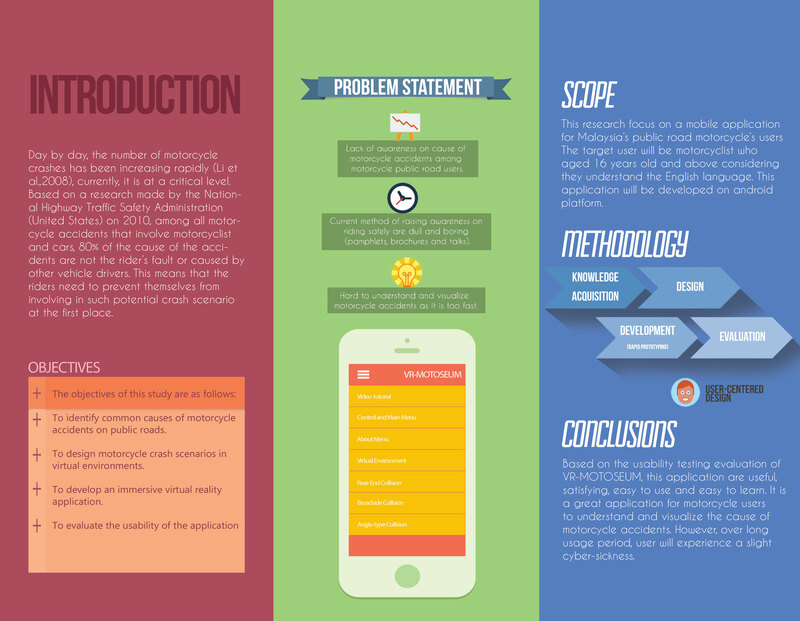 Users are involved directly in the design process. Iterations are made after each feedbacks.